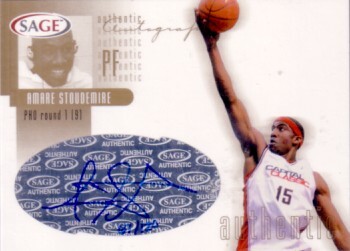 2002 SAGE certified autograph card of former Phoenix Suns and current New York Knicks superstar Amare Stoudemire. Gold version, numbered #67 of only 120 signed. ONLY ONE AVAILABLE FOR SALE.